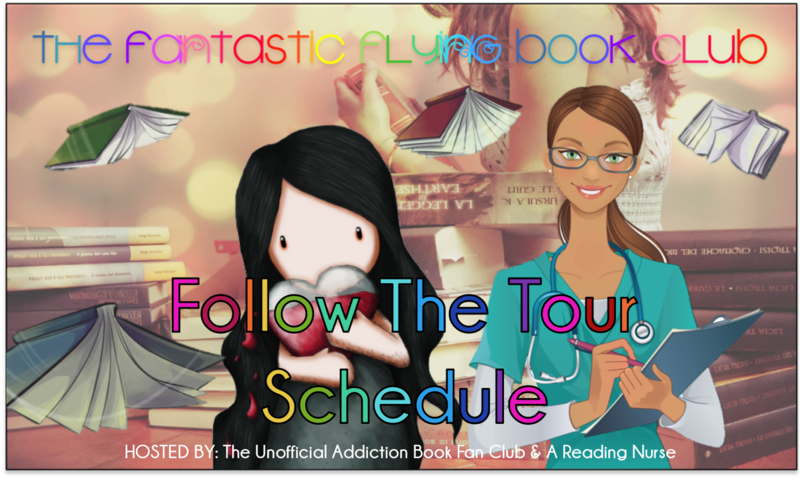 Review: I'm always super wary going into a cancer book. I know this one would be a serious book where people who are too young must face the reality that death is in their near future, but Julie Murphy takes a completely different path with this cancer story. Instead of making only the super good people die and creating a tearfest like someone I know (*cough* John Green *cough*), she gives you a character who isn't perfect or nice at all, which makes you think about what cancer can really do to a person. At sixteen years old, Alice is diagnosed with Leukemia. In order to live the life she has left, she enlists the help of her old best friend Harvey, who's been in love with Alice for as long as they've been friends. Alice uses Harvey's feelings for her to set out to take revenge on those who have wronged her, and get through a list of things she needs to accomplish before she goes. Alice is okay with her growing relationship with Harvey, because she knows she'll be gone soon anyways. But when Alice goes into remission, her list doesn't seem so perfect anymore, and she has to face the consequences of her actions, including leading Harvey along and developing feelings she's scared to see become permanent. After accepting death, how can Alice come back and live her life? Like I said, Julie Murphy takes a very unique take on the cancer story. Now that she has Leukemia and a looming expiration date, Alice does things she wouldn't have done in her everyday cancer-free life. But when she finds out she's actually not going to die, Alice becomes an incredibly selfish person who only cares about the responsibilities and expectations she'll have to face in her now long life. While there were definitely many different emotional stresses happening with her mother and the bullies at school, Alice decided to act just as bad as the bad guys, instead of being the humble heroine I'm so used to seeing in YA books. Though this aspect of Alice got very annoying at times, I can see how it would be more realistic and a unique twist to this story. Harvey, on the other hand, is the good guy who is in love with the idea of Alice. Then, when he finally figures out what loving her really is like when she finally lets him in after she's diagnosed, he falls that much harder for the real thing. The only problem is that Alice is so scared of life and scared of her own emotions, that she purposefully hurts him when she realizes their relationship can be a long-term thing in order to drive him away. It's so sad watching Harvey give everything to and for Alice, and seeing her completely obliterate his heart. I think the part that made this most powerful, though, was how the chapters alternating between Alice and Harvey's points of view also alternative between the past when Alice is diagnosed and the present when she's in remission. We know that Alice and Harvey definitely developed a strong connection and relationship during Alice's fight with cancer, but something happened between then and the remission, and we don't figure out exactly what until well into the novel after the heartbreaking repercussions on Harvey are already revealed. Overall, I really enjoyed this book. Both Harvey and Alice are emotionally hurt, confused, and scared. Add in the cancer aspect, and Alice's life really is a mess. How would you act if you had cancer, acted out and yolo'd it up, only to find out you really aren't going to die and have to live with the decisions you made, decisions you never would have made in regular life? Well, that's what Alice has to deal with. She makes decisions that scared her, and becomes even more scared of them and regretful when she has to face their consequences. 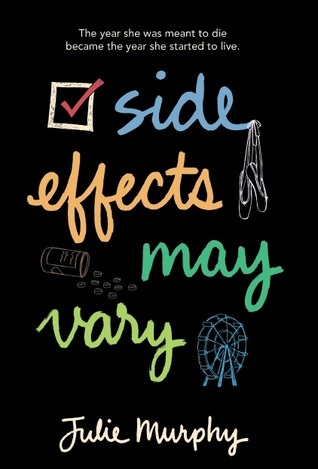 If you want an emotional cancer story that has some dynamic and flawed characters, you should definitely check out Side Effects May Vary. I've heard mixed reviews on this book, but you have a great review! I agree that both characters are rather flawed. I think the biggest complaints I have seen are about the story telling format (which I loved) and the meanness of Alice. I loved how you phrased she 'yolo-ed' her last bit of life. That being said she was thrown a huge curve ball and I think Murphy did a good job of expressing the unique situation.